With compelling and new unscripted shows, WE tv has been added to TDS’ Expanded Basic package. TDS is repositioning WE tv from the Family Tier to Expanded Basic. About 18,000 TDS customers will now have access to WE tv. Fueled by personalities, relationships and passion, WE tv rebranded itself in 2014 to the “Real Reality Network.” WE tv now offers mostly unscripted shows including Braxton Family Values, which follows singer and songwriter Toni Braxton, and Kendra on Top, which follows the lives of model Kendra Wilkinson and Hank Bassett. 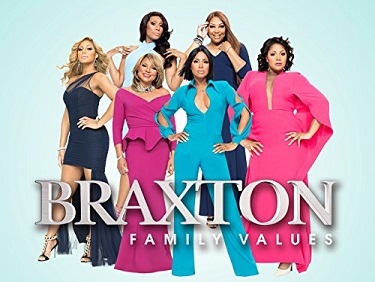 WE tv also offers: Marriage Boot Camp: Reality Stars, Growing up Hip Hop, Ghosts in the Hood and Tamar and Vince, a spinoff of Braxton Family Values. WE tv does feature one scripted show called South of Hell, which is about demon hunters in Charleston, S.C. WE tv also broadcasts these shows: CSI: Miami, House, Law & Order and Will & Grace. The channel repositions were effective Aug. 2 in the following markets. The channel repositions were effective July 26.